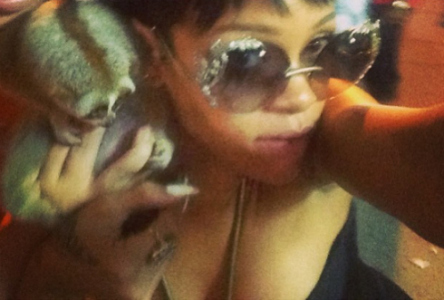 Rihanna was posting pictures of herself with an endangered species in Thailand called the Slow Loris. Little did she know that is illegal because the Slow Loris is a dangerous and endangered species. Two were arrested for selling the creature to take pictures with.